Hello and welcome to Creative Connections. We organise and facilitate workshops and therapy groups for counsellors, therapists & other health care professionals. 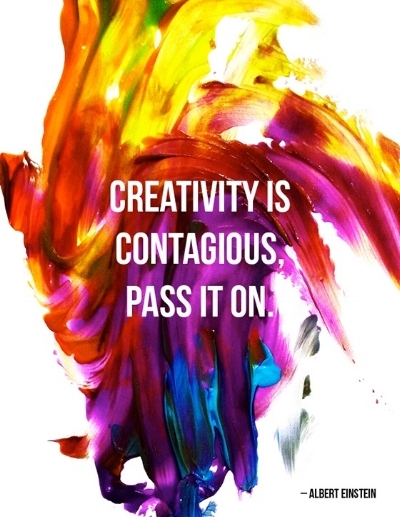 Our focus is always on creativity and its therapeutic benefits, both for your clients and yourselves as professionals. Sometimes we need a way of expressing that lies beyond words - Creative Arts Therapies offer us exactly that. "I am intrigued by what I call the Creative Connection, the enhancing interplay among movement, art, writing and sound"
We have a real passion for Creative Arts Therapies, having seen the huge difference it can make to the experience of being both a client and a therapist. From our own, first-hand personal therapy experiences and by observing the experience of the clients we work with, we have seen the powerful and transformative effect of using creative arts in the therapy room. This is the reason we decided to create and run workshops; to impart our knowledge, skills and theory to other professionals, to spread the word about Creative Arts Therapies and most importantly, to give you the personal and immersive experience that may just spark off your own journey of creative exploration. All too often, we find that words alone cannot express our emotional state, thoughts or behaviours. For thousands of years, man has been using art forms as a form of expression and communication. By engaging with movement, painting, sculpture, literature, music and/or any other art form you can think of, we all have the ability to represent ourselves through the arts, even if we don't yet consciously realise it. You might be asking "what does Creative Arts Therapies mean?" The short answer is any creative activity that has therapeutic potential in a counselling relationship. That is to say that it includes all art forms, and it is more about the journey to creating something; therein lies the therapeutic potential of self expression and understanding. The artistic medium is less important than the message that we convey with it, although we may wish to use certain types of materials to suit the kind of inspiration we have.